The first three months are a time of rapid development and it may cause concern with your baby not growing in womb, during the first trimester of pregnancy. There are a number of reasons this can happen, and this article will explain some of the common causes of slow fetal growth, how it is diagnosed, and when you need to look into things further. There are also tips on what can be done, and how to take care of yourself during this stressful time. If your doctor notices baby not growing in womb during the first trimester, they will first check for one of many causes. They will take a thorough history of your health, weight, lifestyle factors, and genetic history. They will also check your dates of your last menstrual period and compare that to an ultrasound. You may be worried about the last reason, as many women are. Your doctor will rule out all of the above causes of your baby not growing in womb first trimester before settling on the chance that you may lose your baby. The chances are around 10 to 20 percent that pregnancy will end in miscarriage prior to the 20th week of pregnancy. Your uterus should feel like a little ball when your doctor palpates your pelvic area. They should be able to feel the uterus growing and rising up and out of your pelvis. This is called “measuring fundal height” and can give the doctor a rough idea of how your baby is growing. If there is a question whether your pregnancy will continue, your doctor will order HCG levels. This is the pregnancy hormone your body produces and the same hormone that gives you a positive pregnancy test. Early in pregnancy, the levels may not be detectable on a urine pregnancy test. The doctor may order blood levels of this hormone. The levels in your blood should be between 25 and 7,340 in early pregnancy and rise steadily over the first trimester. If your pregnancy is still viable, you will still have noticeable pregnancy symptoms every day. A good sign is that they tend to worsen over the first trimester and you feel better by your second trimester. Loss of pregnancy symptoms can be a sign that the pregnancy is ending. Your doctor may monitor your symptoms and ask you about how you are feeling. 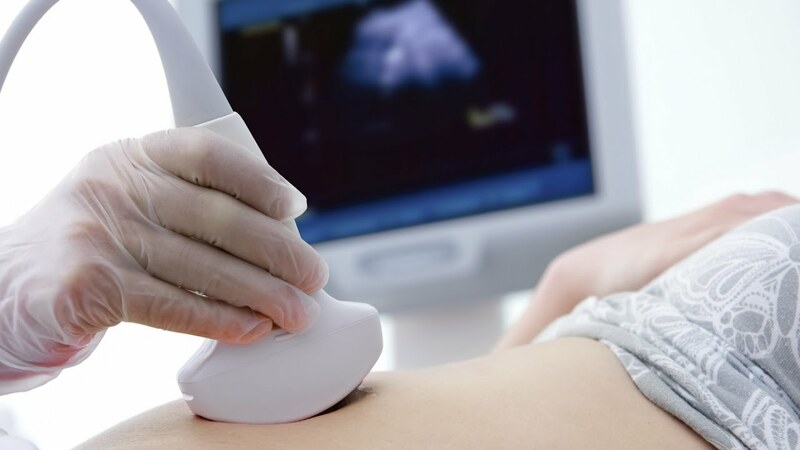 On ultrasound, the technician measures the “fetal pole” which is the beginning stages of the embryo. There may only be a pregnancy “sac,” without a pole inside. This could either mean your last period may have been later than you thought, or the pregnancy stopped developing in the first few weeks, which is one possible explanation for baby not growing in womb in first trimester. What to Do If Your Baby Is Not Growing in First Trimester? Watch and Wait. If your baby is not growing and there is a heartbeat, your doctor may choose to just “watch and wait.” Your dates of your last period may be off and you are less pregnant than you thought. Specialized Care. If the problem is other than pregnancy loss, the doctor may refer you to a pregnancy specialist to help monitor your health condition and the baby’s health more closely. This is known as a, perinatologist. They can work with other specialists on condition management. Weight Management. If the problem is that you are underweight, you may be sent to a dietician and put on a higher calorie diet to help you with weight gain. This will also make sure that your growing baby is getting enough nutrition. Monitor HCG Levels. If the doctor suspects a threatened miscarriage, your HCG levels will be monitored over a couple of days to a week to see if there are any changes up or down. Monitor Heartbeat on Ultrasound. If you’re too early to see a heartbeat, the doctor will do ultrasounds until a heartbeat is found. Dilation and Curettage (D and C). If no heartbeat is found and there should be one, the doctor will check HCG levels and if they are dropping you may need to have to have a procedure to remove the pregnancy sac. Join a support group. Ask about a support group for pregnancy loss, if needed.